TransferWise is starting off the year with a funding bang: the company has raised $58 million in a Series C round led by Andreessen Horowitz. The investment takes TransferWise’s total capital to more than $90 million. Existing investors Richard Branson, IA Ventures, Index Ventures, Valar Ventures, and Seedcamp also participated in the round. He added: “Not only is (TransferWise’s) solution 10 times better than the old way of exchanging foreign currency, but it could not have come at a better time.” Both Hinrikus and Horowitz pointed to the lack of innovation as a “massive opportunity” for companies like TransferWise. 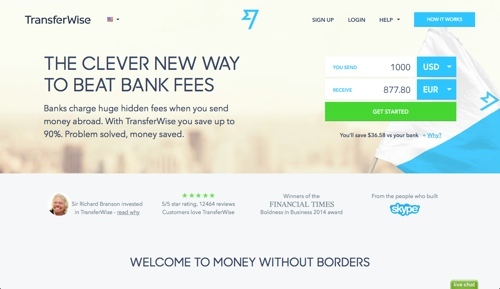 TransferWise enables money transfers between the U.S. and Canadian dollars as well as the euro, British pound, Swiss franc, and another 10 European currencies. Customers using the platform can also transfer these currencies into a number of Asian currencies including the Australian, Hong Kong and Singaporean dollars, and the Indian rupee. See the full list here. The company has been making headlines, as well, appearing in Motley Fool’s list of fintech startups that can help consumer handle their money in 2015, and with its peers Azimo and CurrencyFair in a recent look at disruption in traditional money exchange from Forbes.com. In December, TransferWise was named one of KPMG’s Fintech Innovators of 2014. 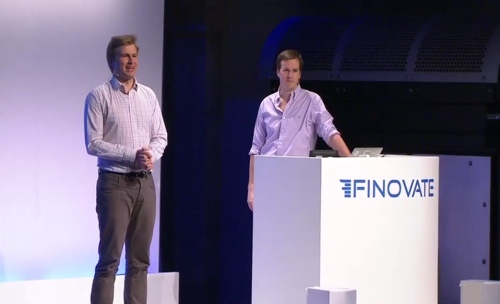 TransferWise demoed its technology as part of FinovateEurope 2013.